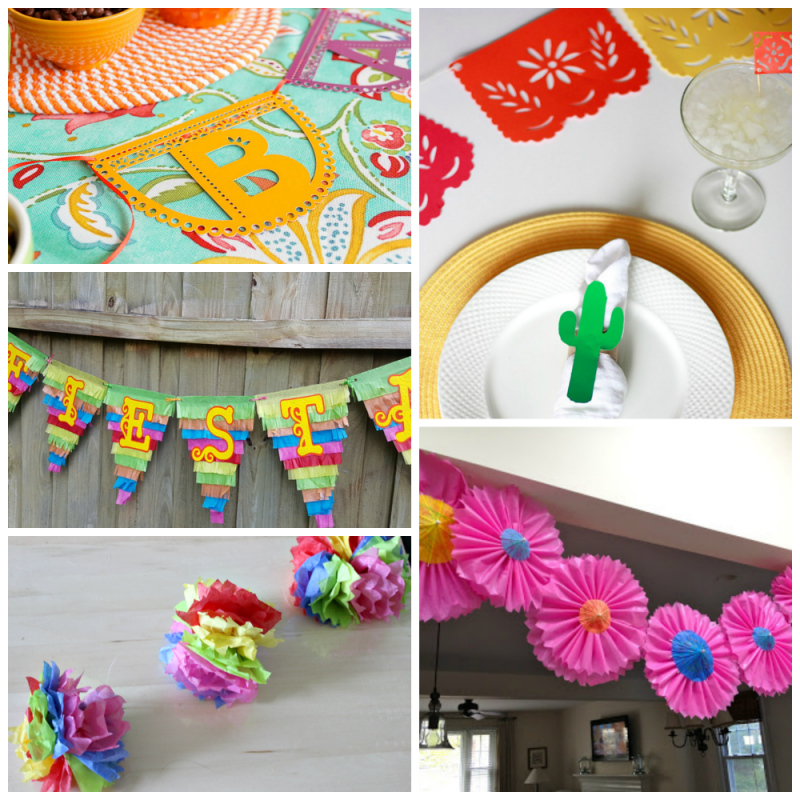 25 Colorful Cinco De Mayo Party Supplies You MUST DIY for your Fiesta! 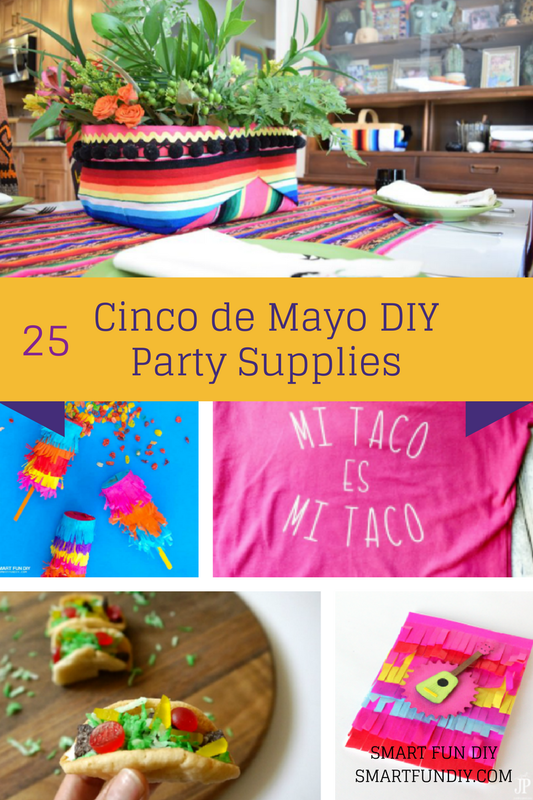 Cinco de Mayo is just around the corner so I'm sharing 25 of the CUTEST Cinco De Mayo Party Supplies to DIY yourself. Not only will you have fun getting ready for the party, but you will have unique party decorations for your guests to enjoy. Why buy throw-away party decor when you can make your own? 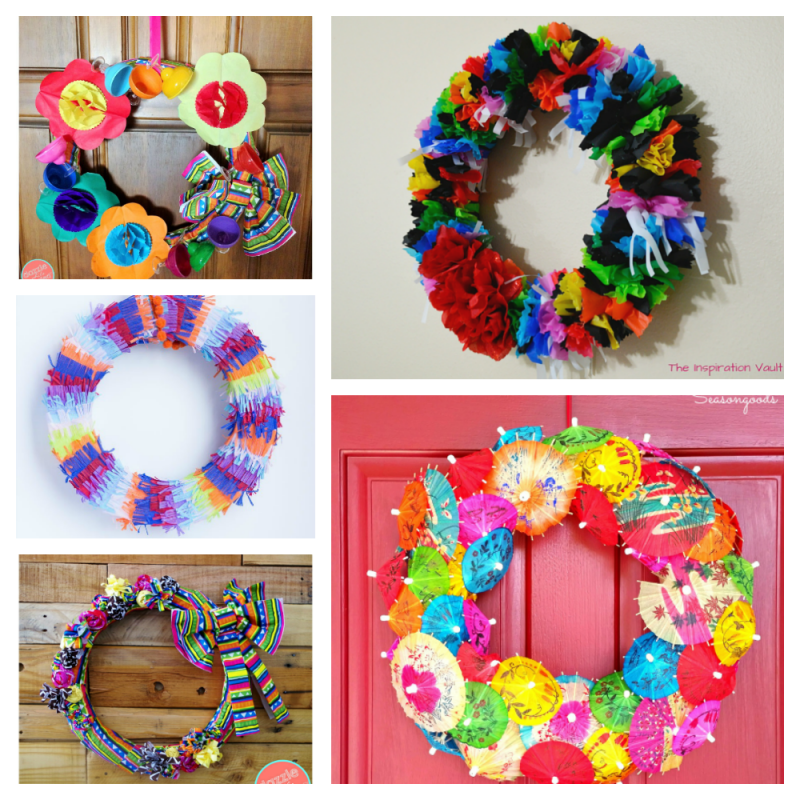 Greet your guests at the front door with these fun and festive DIY wreath ideas. Nothing is more fun than a Mexican Party Piñata! 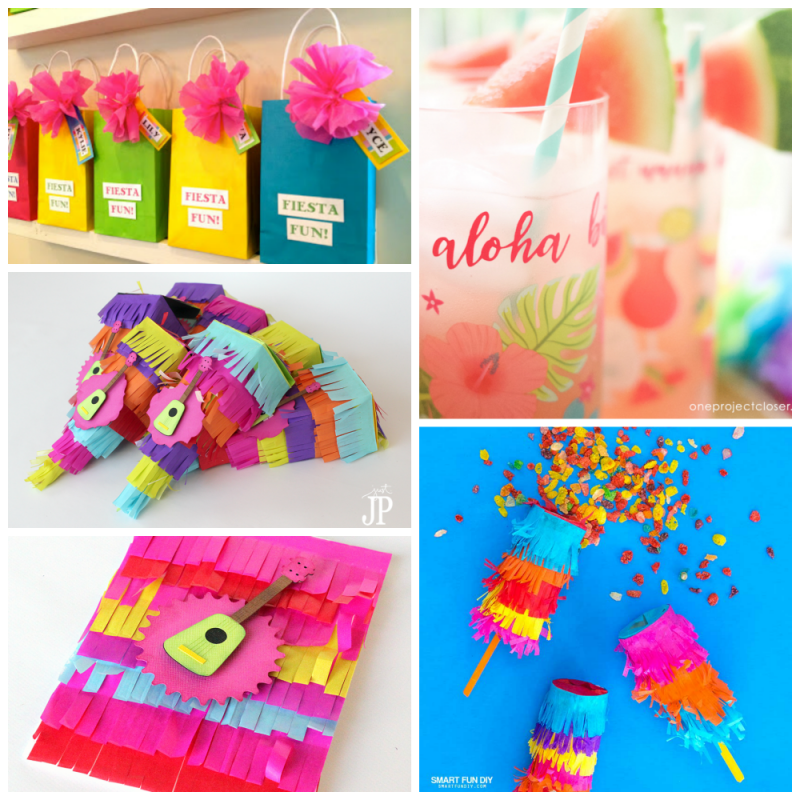 These DIY Piñatas are adorable and surprisingly easy to make. 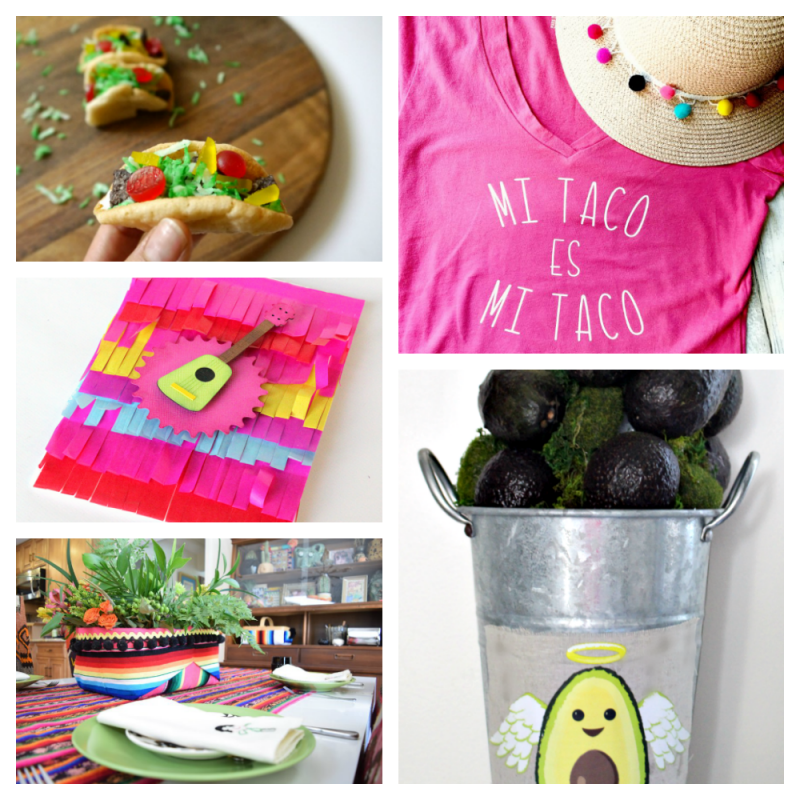 Looking for some fun Cinco de Mayo craft ideas? From t-shirts to centerpieces, you'll love these festive party ideas that you can DIY! 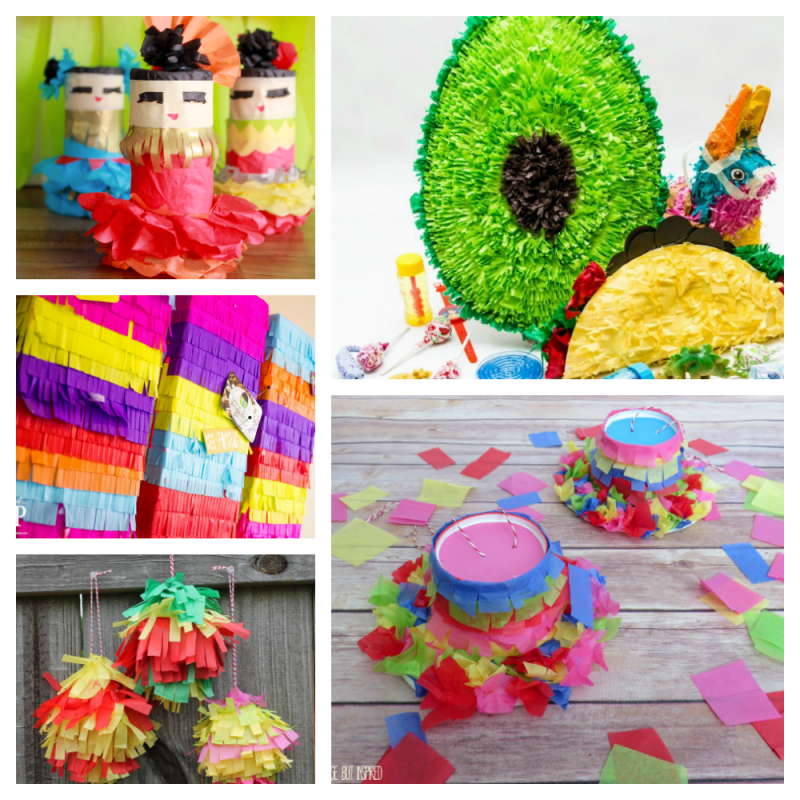 With these 25 Cinco de Mayo Party Ideas you're well on your way to creating a fun and colorful fiesta party! Be sure to check out my Mexican Dip Recipes to serve at the party. Love these ideas? Share them on Pinterest or Facebook!